Blackjack has become a byword for any gambling game and testing one’s luck at the casino table. Blackjack is loved and played in a variety of places and variety of game type all around the globe. Yet its basics are the same everywhere, and once you learn them, you can play in land or in online casino. Canadian online casinos offering blackjack have valuable advantages over traditional venues – they deliver larger bonuses, offer more game types and in general are more convenient to play right from your home. The chances to win a good lump of cash are also higher, since online you play more rounds and have an opportunity to practice for free. Definitely, online blackjack lacks some famous tricks of the game, yet your chances are still good and bets are high. So select a reputable casino from the list and deal the cards! May 21 always get right into your hand! This game is comparatively simple and fast to master, this is why it is played far and wide. Betting rules may differ from a kind to a kind of Blackjack, but the basics remain the same throughout the whole game blackjack family. A game can include from 1 to 7 players, yet each of them plays against a dealer, not against each other. The purpose of the game is to collect a winning card combination – a hand – that adds up to 21 but does not exceed it. Either a player’s hand should be closer to 21 than a dealer’s hand value. Then a player wins a round. Each card has its assigned value, so it is pretty easy to decide what you would do next to get close to a desired combination – take one more card, wait or take other possible steps. Blackjack played in a land casino or in a online casino begins the same: a dealer distributes a couple of cards to each player and to himself or herself. In different blackjack varieties cards may lay face up or down. Each player evaluates the combination and decides what strategy to pursue to achieve the most promising situation. If you think that your combination is too low in value, you can hit, i.e. ask for one more card. If you are hesitant, you can just stand, that is, do nothing and skip your turn. The bust is getting a combination of cards that have total value higher than 21. It means you have lost, unfortunately. But if you collect a combination that is higher in value than that of a dealer but lower than 21, then you win. You also win automatically if a dealer busts before you. One more step is to split if you have been dealt 2 cards of equal value. You can hold them separated and build a hand around each card, thus doubling your chances to win. Yet you must put a separate bet on this second hand, too. The prize-stealing situation in blackjack games is defined by value of cards in the hands of a player vs. the value of cards in a dealer’s hands. Value of each card is easily remembered and added up to plan the next move or skip. Cards from 2 to 10 have their nominal value, i.e. 2 is 2, 3 is 3, etc. Each face card is counted as 10, and an Ace can have different values, usually in favor of a player. Namely, an Ace can stand for 1 or eleven. Value of 11 is called ‘soft’ and it does not potentially lead to a bust (losing the game) in a hand when another face card is dealt. Value of 1 is called ‘hard’, and it can bust a player’s hand and spoil the gaming round. The allure of blackjack is that there exists the tested chart of possible moves that correspond to a hand held by a player and by a dealer. It provides careful breakdown of each position and advises on how to spin each position in your favor thus minimizing the house edge and increasing your chances to win up to a reasonable level. This chart is provided in many casino reviews and blackjack tutorials, but it means nothing if you do not practice plenty of time. The more you play blackjack while consulting this chart, the better you remember beneficial positions. Then soon you will be calculating them automatically without any tips. Another technique related to cards combinations is card counting. Essentially, it is outing and remembering all cards that have been dealt so that to understand whether the card deck is full of high or low cards. High cards are good if you plan to make higher bets and you know that the cards will successfully complement what you have in your hands. However, card counting is often prohibited in land casinos and people who practice it are banned from the majority of casinos. Besides, card counting cannot be used in online gaming because the software shuffles cards after each dealing, so there is no knowing what cards are concentrated in the deck. There are other popular strategies that can help to catch the luck in blackjack – or at least avoid massive losses while playing online. It is potentially the most optimal strategy. It means that a player places another bet and receives additional card to two already dealt cards. Since it is possible to calculate what combinations deliver what results, a player can reason that when possessing cards with total value of 11 it is highly recommended to double down, as many cards will ensure getting a 21 total, or will push a player to 17 or slightly higher. This strategy works equally well in online and land venues. The only task of a gambler is to learn the table of combinations useful in games online and do maths quickly. This strategy may seem reasonable but in the long run odds are in the house favor so it is not recommended to take it in online gambling. In land casinos where cards can be counted it still has the right to live, albeit chances of winning are dubious. The sense of insurance is placing 3-2 odds on the chance that a dealer makes a blackjack (21). 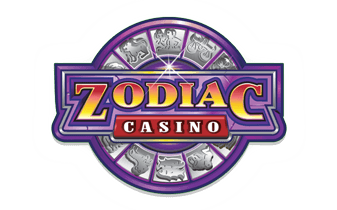 Although it sounds quite viable, in reality the insurance will most probably land on the casino’s account. This is a kind of graceful exit with preservation of the half of your bet. If you deem that your chances are tiny, you can surrender and give up a half of your bet while keeping another half. Yet in a longer prospect the strategy of standing, i.e. skipping the round, is more beneficial and promises higher chances of winning in casinos game lead. Again, it is not recommended to take it while playing game in a virtual spot. In land casinos where cards count is workable it has some meaning, if you are ready to lose a part in exchange for guaranteed getting another part. Whether you play free or real money games, blackjack is fun and at the same time a good brain-flexer. You practice focusing and analyzing skills, and if you gamble for money, you can also gain some nice portion of cash. Blackjack is equally thrilling in land casinos and in online venues, and certifications means that you will receive your payout and the game will not be rigged. Online blackjack is great in that it provides good deal of demo versions, and you can practice well prior to diving into money gambling. So pick a reputable Canadian casino, create an account and deal the cards – your lucky combination is not far away!